I’ve been indoors for the past three days. Editing and writing to my California employers so that I won’t get fired. Hurricane Sandy came full force and stopped my plans, but New York has been nice to me. I love it here. The people, the food, the culture, the different languages, the surviving accents, the spirit of being a New Yorker. It’s great. The ability to say “Good evening” or “Buenas Tardes” to people and actually get a response…you know, like proper human beings? Yeah, they do that here. It’s great. Sometimes, Berkeley can be full of awkward people who don’t know how to say hi to each other. Yesterday, my host and I were able to walk out for some ice cream. And today, we took an afternoon walk around Uptown Harlem. 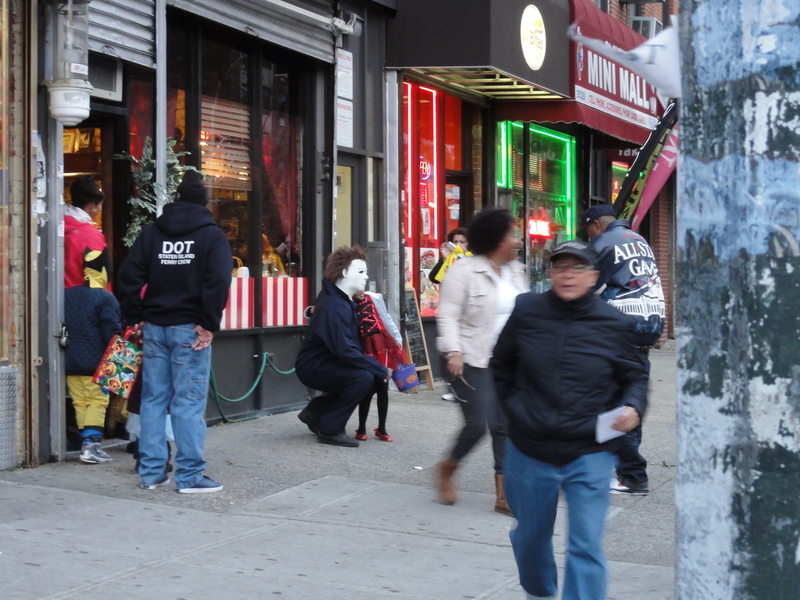 It was chilly out, but (thankfully) this part of Harlem wasn’t hit so bad. We still have electricity up here. 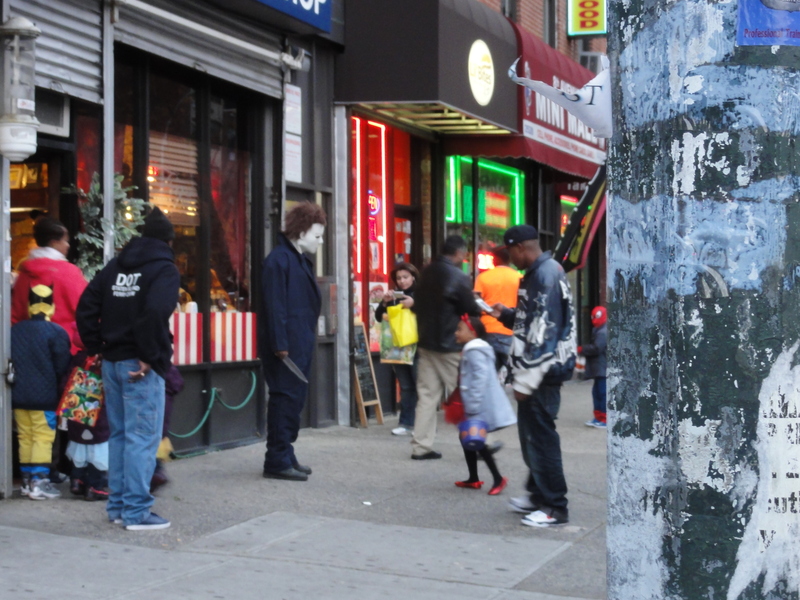 Today was great because I saw a guy dressed as Jason in front of a barber shop. He held a knife and eerie music from the soundtrack played in the background. A pretty solid Halloween, considering this place was just hit by a hurricane…cyclone?